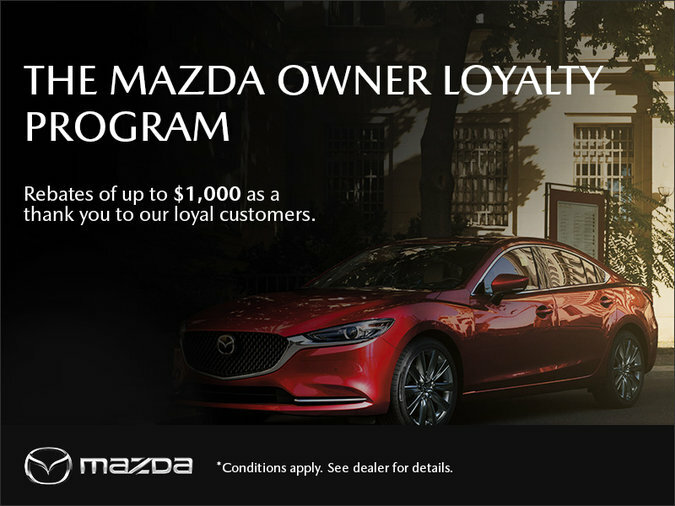 Being a loyal customer has its rewards, that is why we offer the Mazda Owner Loyalty Program. To thank any current Mazda customer, we are giving up to $1,000 off of your next purchase of a new or Certified Pre-Owned Mazda or are trading in your current Mazda. For more details contact or visit us, we are happy to answer any questions you may have.